Vegetable-tanned cowhide, leather thickness of about 2 mm. Lining of hard-wearing twill fabric (65% polyester and 35% cotton); lining is blue in the black bag and ecru-colored in the natural colored and green bags. Adjustable-length shoulder strap, length 1.13–1.39 m, width 3 cm. Metal zipper and buckles. Width 25 cm, height 16 cm, depth 5 cm. Weight 370 g.
For your most important things. 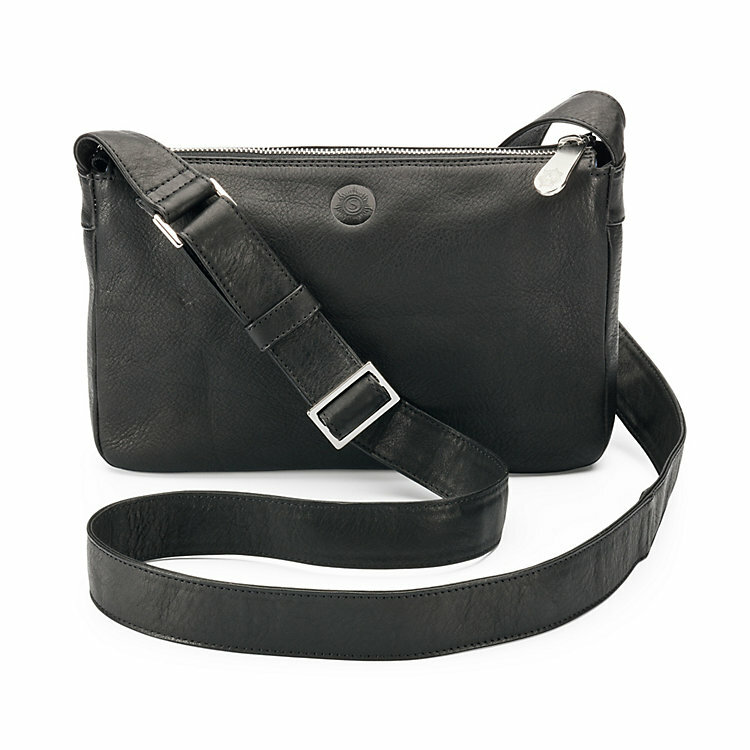 A small and compact shoulder bag with a rectilinear design suitable for both women and men. 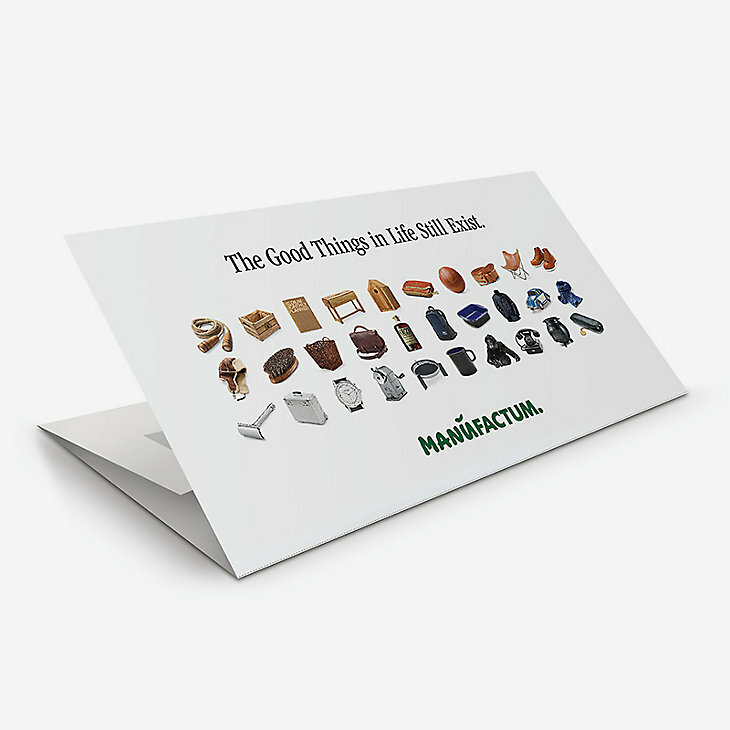 Everything is in its place; documents up to size A5 or calendars will also fit inside. In the large main compartment, two further zipper compartments and two pen loops have been incorporated. The freely adjustable strap is quite long (approximately 1.4 m), so that the bag can be carried comfortably across the chest.